Welcome to my web site. 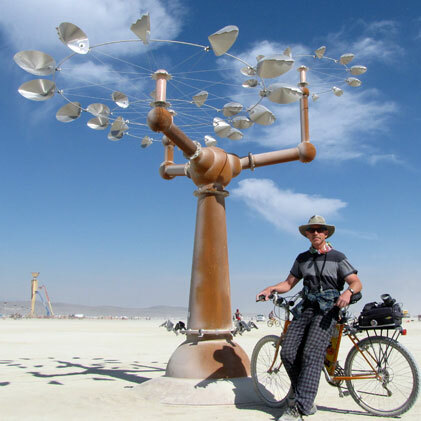 My name is David Boyer and I make kinetic wind sculptures. For those unfamiliar with my art, this site will give you a good introduction to my creations. For those already familiar with my art, this site will provide you with additional insight. While you're here be sure to visit the Photo Gallery. In the Photo Gallery you can see pictures and video of my past and current projects. If you are interested in a kinetic wind sculpture, for home, business, or public art, or if you simply want to get to know me and my work better, please contact me. I look forward to hearing from you!